There are currently between twenty and thirty civil wars worldwide, while at a global level the Cold War has been succeeded by a "war on drugs" and a "war on terror" that continues to rage a decade after 9/11. Why is this, when we know how destructive war is in both human and economic terms? Why do the efforts of aid organizations and international diplomats founder so often? 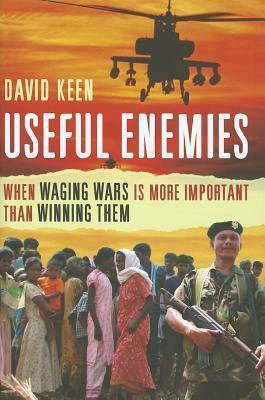 In this important book David Keen investigates why conflicts are so prevalent and so intractable, even when one side has much greater military resources. Could it be that endemic disorder and a "state of emergency" are more useful than bringing conflict to a close? Keen asks who benefits from wars--whether economically, politically, or psychologically-and argues that in order to bring them successfully to an end we need to understand the complex vested interests on all sides. David Keen is professor of complex emergencies at the London School of Economics. He lives in Oxford, UK.